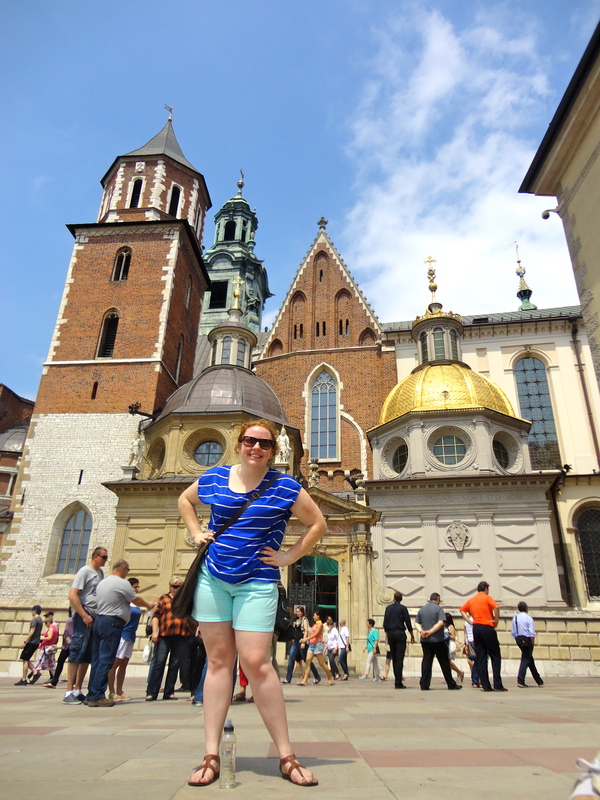 This past weekend I was able to spend two days in Krakow in southern Poland. IT WAS AMAZING. Only two days, but we did so much and had such a good time of exploring and learning new things in a new and beautiful city. The cool thing about Krakow is that it wasn’t destroyed during WWII (unlike almost all of Warsaw). So the old city is still intact and beautiful. It was also the capital of Poland for centuries, so the old buildings and streets reflect the wealth and importance that the city held. It’s still an important cultural center for Poland. 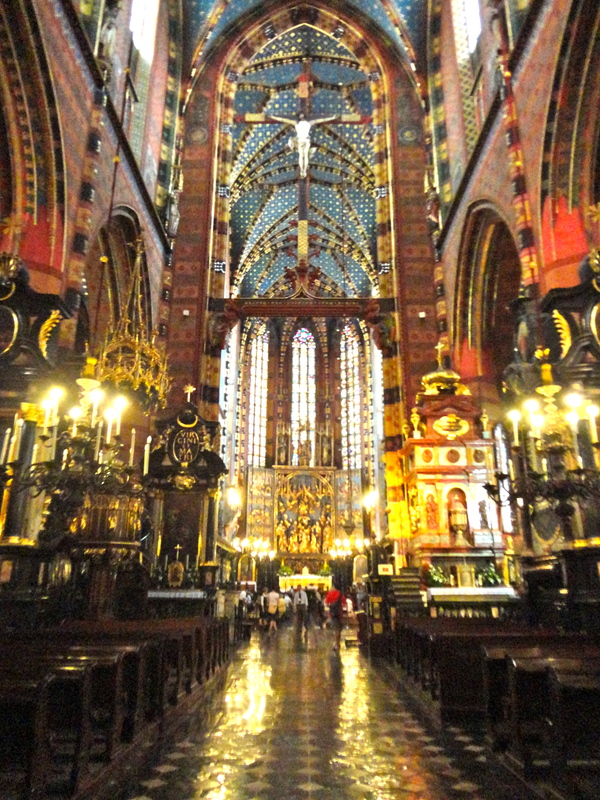 One of our speakers told us that, to begin to understand Poland, you have to go to Krakow. So we did. Nine of us went. Five of the Americans, three of the Ukranians, and one Pole (my roommate!). My roommates lives with her family just outside of Krakow, so we were actually able to stay with her and save on a hostel. She was also our unofficial guide for the weekend, which was so kind of her. We took the day train in on Friday and had that evening and night in the city. We explored and saw so many beautiful old churches and civic buildings. On Saturday we spent the morning exploring the city’s old castle (a real castle!). In the afternoon we went about an hour and half out of Krakow to Auschwitz-Birkenau. I’ll write about that separately at some point because it was a very different experience. After returning to Krakow we had dinner and caught the night train back to Warsaw in time for Sunday HIA events! All in all, the trip was amazing. I had so much fun, learned a lot, and got to experience some of “old Europe,” which was really great. 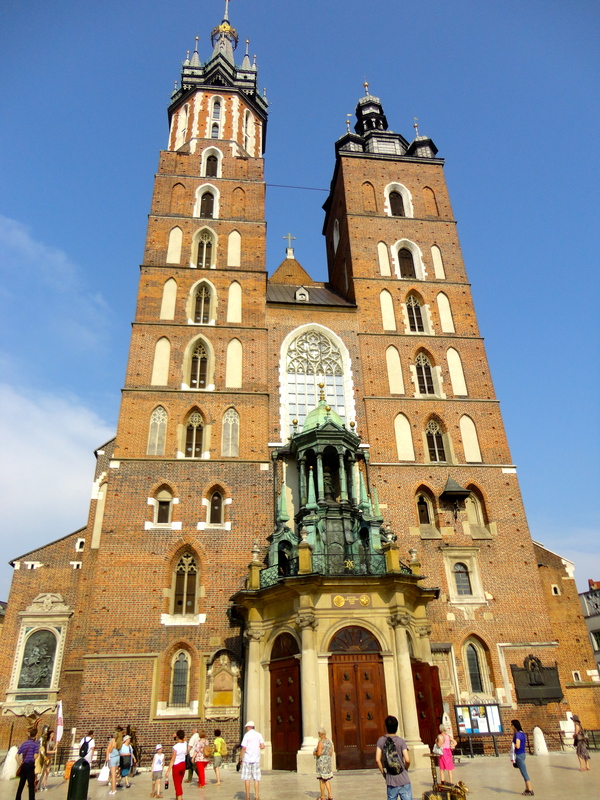 St. Mary’s Basilica sits right at the center of Krakow’s giant market square. The myth is that the two towers were built by two brothers racing and when the first finished he killed the second to ensure that his tower would never surpass his. He then committed suicide by jumping off the tower. This is inside St. Mary’s. It was by far the most beautiful church I’ve ever been in. I was able to take some time to pray here and it was really special. 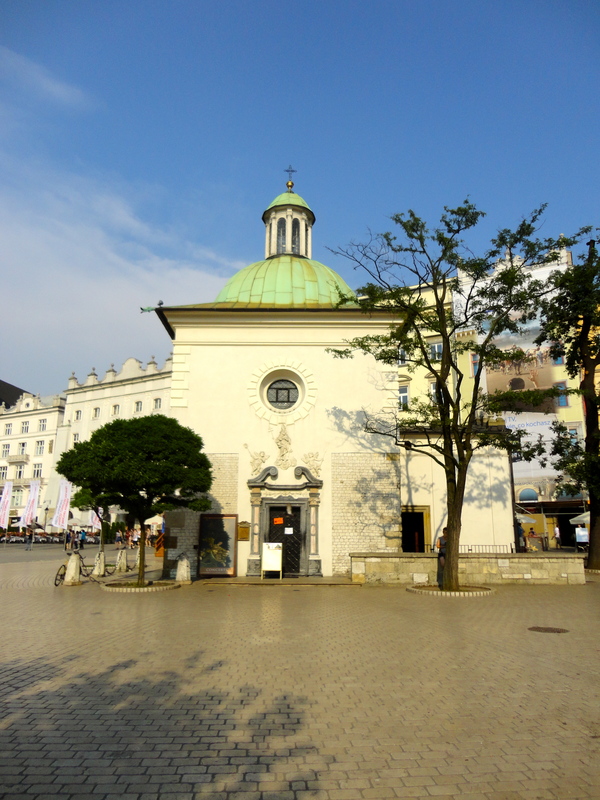 The Church of St. Adalbert has survived since the 11th century! It sits in the middle of part of the giant market square. The 11th century! 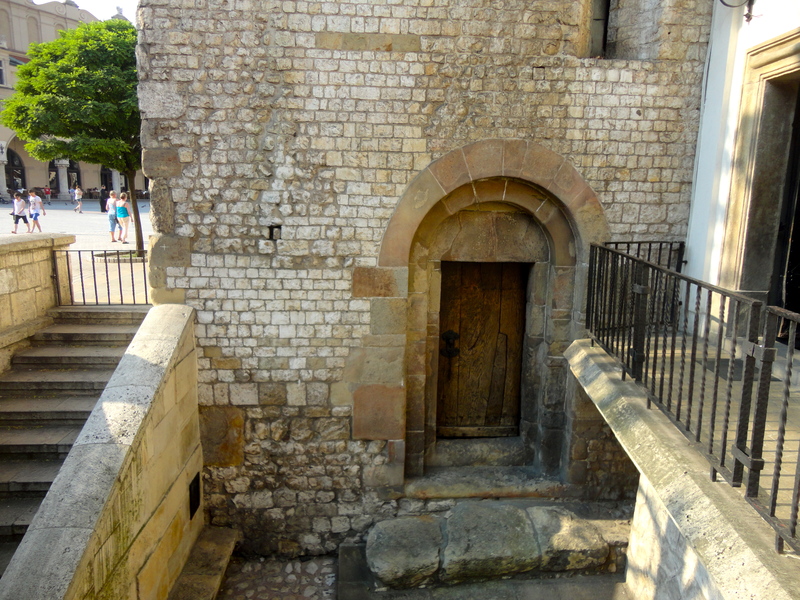 The original entrance of the church is still intact! 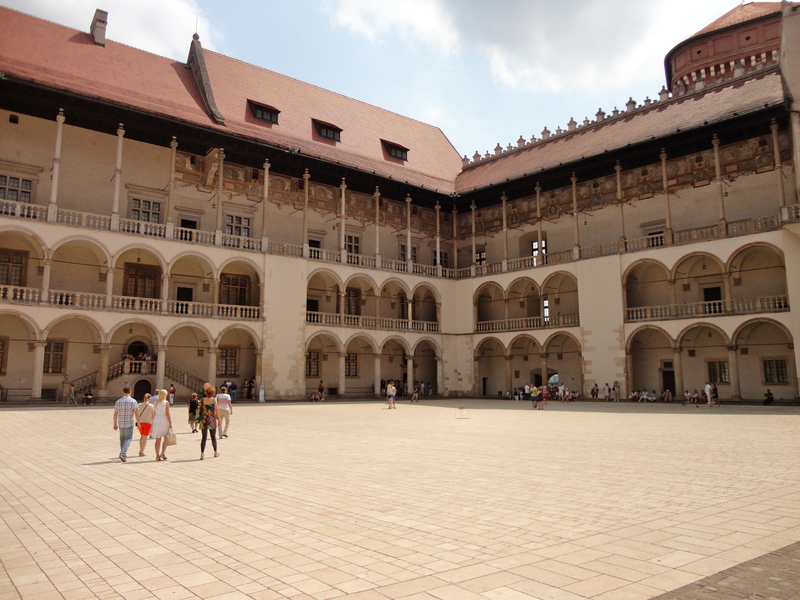 This is just one view of Wawel castle we got to explore! It was so beautiful! This is the castle’s courtyard. Imagine GIANT parties here. Having so much fun at Wawel castle! Some of the other fellows trying to look cool. 🙂 We had a great time!